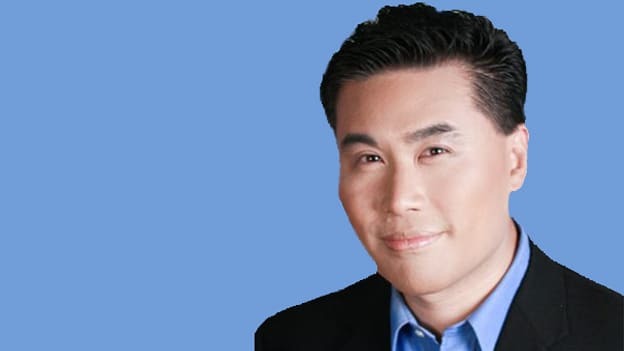 In his sessions in the upcoming People Matters TechHR Singapore 2019 Conference, global tech influencer Ray Wang will speak on how political, economic, societal, and in particular technological trends are impacting business and the employee experience of the future. The People Matters TechHR Singapore 2019 will be a window to how today's incredible pace of technology advancement provides businesses, talent managers and technologists the perfect opportunity to engineer a fascinating workplace of tomorrow. One of the themes of the conference is harnessing technologies that could enable disproportionate leaps in work efficiency and nurturing a future ready digital workforce. One of the highlights of the event will be the keynote session spearheaded by top global tech influencer, Ray Wang. Ray Wang is the Principal Analyst, Founder, and Chairman of Silicon Valley-based Constellation Research, Inc. Wang has held executive roles in product, marketing, strategy, and consulting at companies such as Forrester Research, Oracle, PeopleSoft, Deloitte, Ernst & Young, and Johns Hopkins Hospital. In his session ‘Employee Experience 2025: A Journey to your Digital Future,' at TechHR Singapore, Ray will focus on how political, economic, societal, technological, environmental, and legislative trends are impacting business, the world of work and your journey of designing the employee experience of future. He further adds that this push to augmented humanity and AI driven smart services will change when we work where we work, how we work, and why we work. This future of employee experience will require a rethink of the work environment, the human-centric design aspects, and the incentive systems to support the recruitment, training, and development of new talent. Through the session, delegates will be able to relate to how Ambient Computing can enhance employee experience through intelligence and augmentation and learn about skill demand signals, and how to build feedback loops to identify skills and readiness of learners. In addition, Ray will also conduct a session on ‘Building your own Futurist Framework.' The facilitated session will leverage the Constellation AstroChartTM framework to create a visual guide of the trends impacting the C-Suite At the end of this session, delegates will be able to gain clarity on how megatrends impact businesses based on their organizations readiness, assess boardroom priorities, cut through the noise and identify what matters and employ the AstroCharts methodology to create managerial plans. In addition to Ray’s session, over the course of the day, delegates will also hear from top global influences, CEOs and CHROs from a variety of business sectors and industries, on everything from blockchain to designing for work 2030 to redefining HR with AI to future proofing the workforce. Ray Wang will be speaking at TechHR Singapore on 28th February 2019 at Marina Bay Sands, Singapore. Register now.